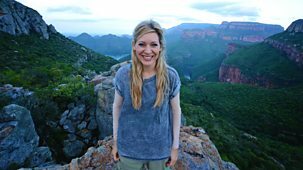 Naomi Wilkinson travels across South Africa in search of her deadly nightmares of nature. She meets a hippopotamus and a seriously snappy nile crocodile. 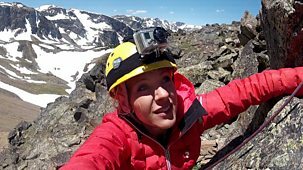 Naomi Wilkinson heads north to Alaska to seek out more nightmares of nature. 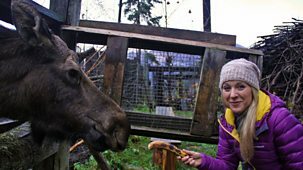 She comes face-to-face with a giant moose and takes a trip down the Chilkat River. Naomi counts down through her top ten worst nightmares of the series - and reveals what she has chosen to take the top spot as her very worst nightmare. Naomi has travelled the globe encountering some terrifying nightmares. Now she looks back at five of mankind's very worst phobias. Naomi Wilkinson's search for nature's nightmares take her into the jungles of Queensland in Australia, where she faces her fear of the giant huntsman spider. Naomi Wilkinson heads into the blistering heat of the Australian outback in search of nightmares of nature. She joins a snake catcher on an emergency call out. 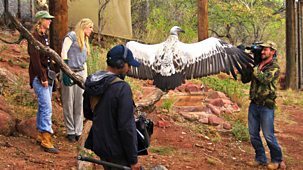 Naomi's on a mission to confront her worst nightmare, as she explores the East coast of South Africa and goes in search of the world's biggest shark. Naomi and her crew explore the southern tip of South Africa, and there are plenty of horrors in store as she delves underground into a scary subterranean world. Naomi Wilkinson heads stateside to see what scary wildlife she can find in California. She kayaks out to find sea otters, then tries getting to grips with some hagfish. Heading into Yellowstone, Naomi prepares to face some of America's most famously fearsome wildlife - bears and wolves. 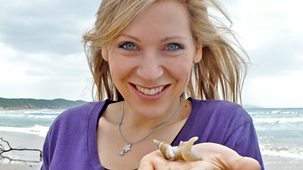 Naomi Wilkinson continues her global adventure in search of nightmares of the natural world. This time she's in Namibia, where she meets some smelly seals.